Happy National Pickle Month! I love a good pickle, and it is always great to have one alongside a good ol' Sammy. To keep the #150BunsofSummer good times rollin'... 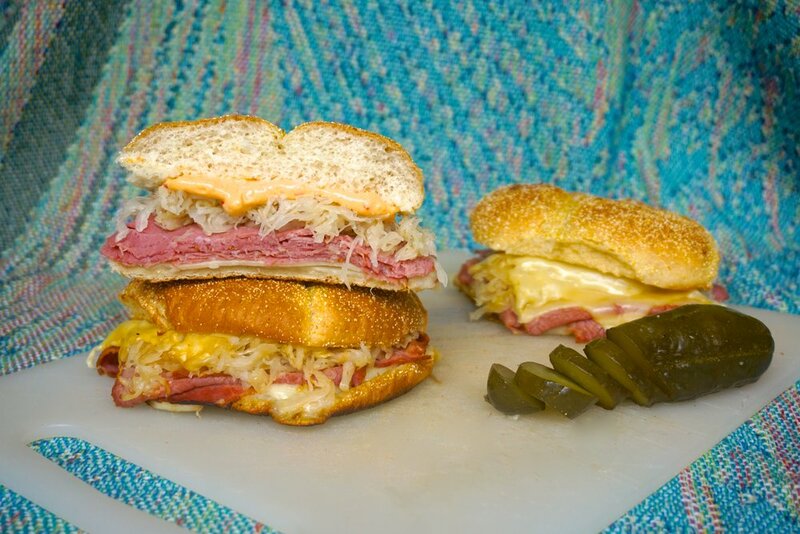 Here is an awesome, classic recipe for a ReuBUN sandwich. Emphasis on that sweet, sweet toasty bun. Wrap corned beef slices in tin foil with a little water; then steam in the oven by baking at 350°F. For the Russian dressing, combine mayo, lemon juice, pickle juice, Worcestershire sauce and salt & pepper in a bowl, then set aside. 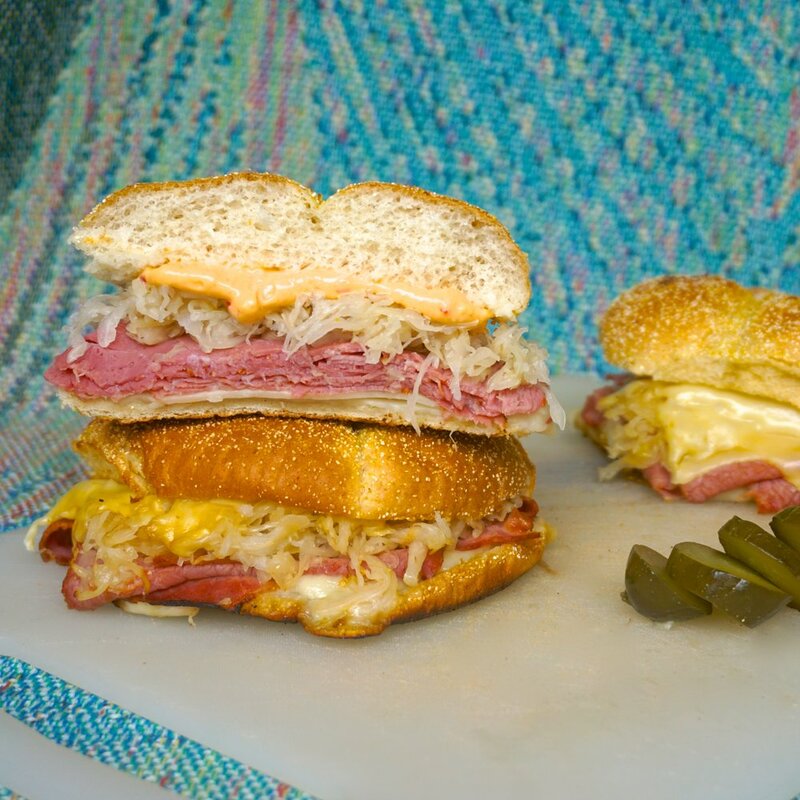 Build sandwich on D’Italiano® Original Crustini Hamburger Bun by layering Swiss cheese, corned beef, sauerkraut, more cheese and then adding the top bun, already smeared with Russian dressing. On a flat-top grill, grill sandwich on low heat and use a metal bowl to cover the sandwich to help the cheese melt. Once the flattop is hot, add a squirt of water under the bowl to further steam the sandwich. Remove from flat top and serve with a side of sliced pickles. In collaboration with Weston Bakeries.